Mid-Manhattan Oral Surgery and Hoboken Oral Surgeons provide dental implants in New York City and Hoboken, NJ. To schedule an appointment call 212-696-2677 (Manhattan) or 201-659-6999 (Hoboken). According to the American Association of Oral and Maxillofacial Surgeons (AAOMS), dental implants have a 95% success rate when placed by a qualified dental specialist. Self-confidence and a beautiful smile are certainly important reasons to choose dental implants, but did you know that they also have significant health benefits? Tooth roots not only anchor teeth securely in place, they also maintain the health of the surrounding gums and bone structures. When a tooth is lost, the body begins to resorb the nearby bone. This can compromise the integrity and stability of adjacent teeth, and can lead to the sunken appearance that is common in denture wearers. Denture wearers must also cope with frequent relining, as progressive jawbone loss will make the dentures looser over time. 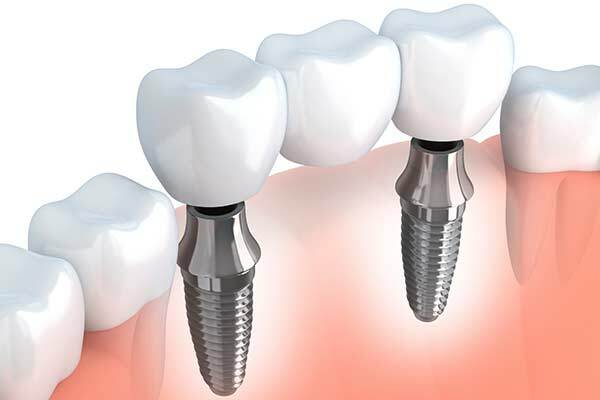 Dental implants replace the tooth roots, halting and even reversing this progressive bone loss. They protect the surrounding teeth, provide a strong and stable base for replacement teeth, and present a full, youthful appearance in the mouth. 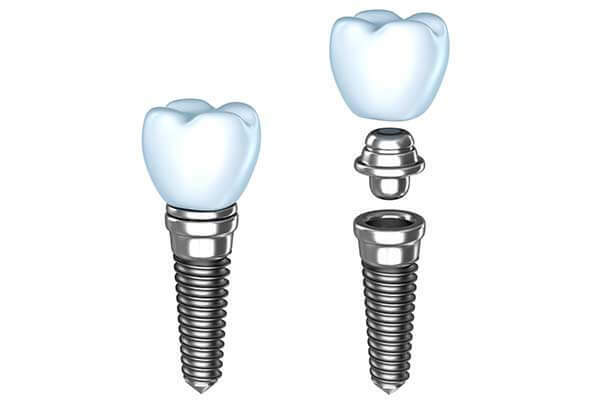 Dental implants are tiny anchors of biocompatible titanium that are placed in the jawbone and allowed to fuse. After a few months, abutment posts are inserted to allow the permanent attachment of replacement teeth. 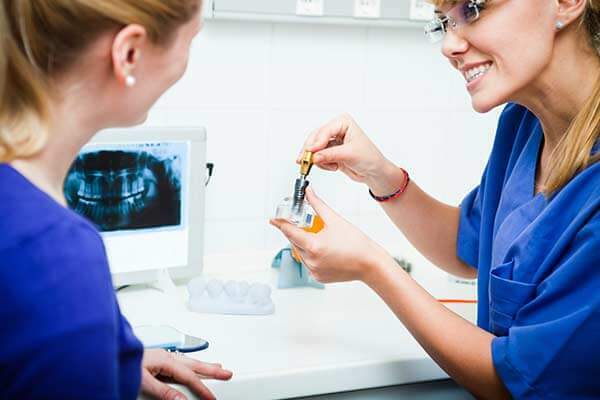 As you might suspect, dental implants must be precisely placed for the final restoration to be strong, durable, and precisely fitted to the surrounding teeth. That’s why we use cone beam scans and virtual 3-D modeling to develop exacting treatment plans. We will work closely with you and your dentist to design a plan that features optimal aesthetics, functionality, and longevity, and allow you to view it with the 3-D model. When planning is complete, we then use specialized software to create a surgical guide. This will direct the precise location, angle, and depth of the implant placement, vastly increasing safety, efficiency, accuracy, and predictability. As the name suggests, a single tooth dental implant uses one implant to support one replacement tooth. We will work hard to ensure that the implant blends in with the surrounding teeth and gum tissue, and is equally functional and useful. If you are missing three or more teeth in a row, an implant supported bridge may be the best solution. Multiple dental implants will be used to secure a bridge of replacement teeth, providing a strong, functional, and aesthetic final restoration. Implant supported dentures may be either fixed or removable. Removable implant supported dentures require as few as two dental implants, onto which the denture “snaps,” stabilizing the denture and avoiding the use of denture paste or adhesive. 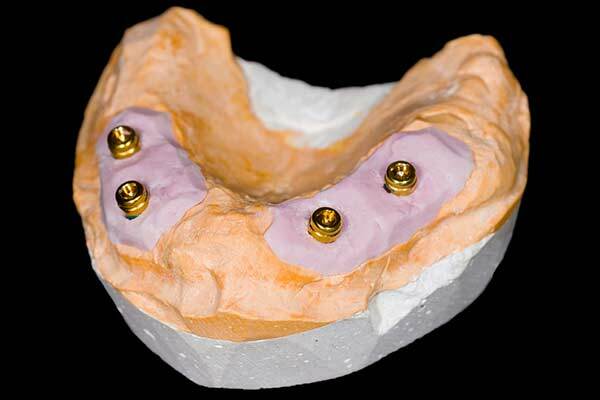 Fixed implant supported dentures require just a handful of implants. The All-on-Four is a unique solution for patients who are missing all of their upper or lower teeth, or both. Just 4 implants can secure an entire arch of replacement teeth. No plastic palate is required for upper teeth, allowing more natural speaking and eating than is possible with a traditional denture. 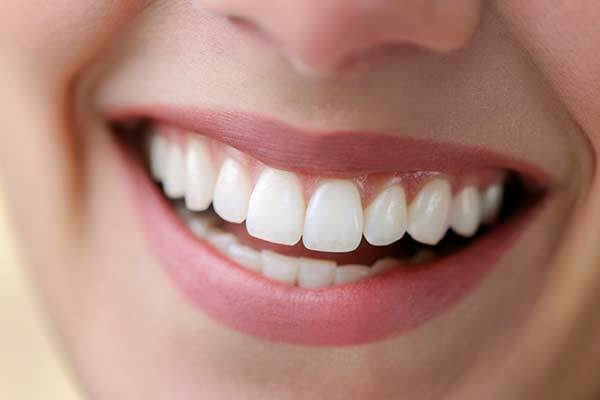 The lower teeth are secured rather than resting on the gums, preventing slipping or pinching. In addition, the All-on-Four is an immediate-load implant solution. Rather than waiting a few months for traditional implants to fuse with the jawbone, patients who select the All-on-Four will receive a full, fixed set of replacement teeth immediately. The majority of dental implants are made from titanium, but this is not the only choice. Some patients prefer zirconia implants for a variety of reasons. Biocompatible and bioinert, ceramic zirconia implants are a strong and stable, white, non-metal option. 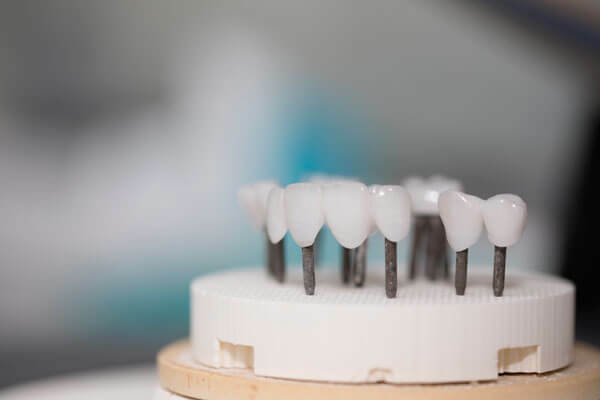 Those with allergies or sensitivities, those seeking the most esthetic solution for front teeth, and those who desire a holistic-friendly, non-conductive, corrosion resistant option often choose zirconia implants. We will help you decide which material will best meet your needs and desires. You will have the option to have your procedure performed with local anesthesia, where we thoroughly numb the area. Or you may choose to have your procedure performed with IV sedation anesthesia and local anesthesia. The primary difference is that with IV sedation you are safely asleep for the local anesthesia injections and the procedure. If you are interested in dental implants, and are in Manhattan or Hoboken, we invite you to schedule a consultation. Call our office at 212-696-2677 (Manhattan) or 201-659-6999 (Hoboken) today.